Cyrus Mistry sacked in Tata Sons churn: Is this the beginning of Ratan Tata 2.0? Cyrus Mistry was shown the door at Tata Sons on Monday, after about four years at the helm as the chairman. A company spokesperson merely said this decision was in the long term interest of all shareholders, maintaining a deafening silence over the actual reasons for Mistry’s sudden and unceremonious exit. There was no mention of Mistry’s contribution to Tata Sons’ growth during his stint, not even the customary wishes about any future endeavour he may undertake. Ratan Tata, who had passed the baton to Mistry in 2012, has been brought back as the interim Chairman, till a successor is anointed. Remember, Tata Trusts still hold a majority in Tata Sons; Tata Sons is the holding company of the Tata group. So Ratan Tata, who is the Chairman of Tata Trusts, retains a clear say in appointing the chairman. It is clear from the terse statement sent out by Tata Sons that Mistry’s exit has been less than harmonious and it won’t be a surprise if the Mistrys do not take this ignominy lying down. 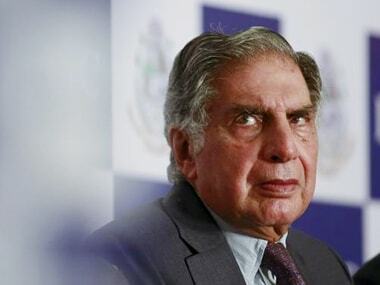 In an e-mail to employees after the board meeting, Ratan Tata said he had agreed to become the interim chairman in the interest of stability and to reassure the group. “The board of directors of Tata Sons has, in its meeting today, replaced Cyrus Mistry as Chairman with immediate effect. A new management structure being put in place, a selection committee has been constituted to identify the next chairman and this committee has been mandated to complete the process in four months. In the interim, the board requested me to perform the role of chairman and I have agreed to do so in the interest of stability and reassurance to the Tata group,” the e-mail said. 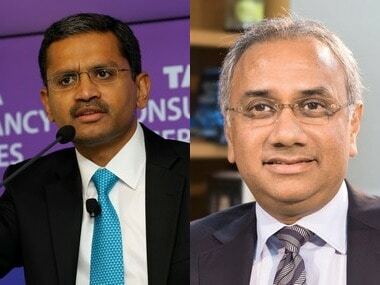 The search committee which will look for the next chairman comprises Ratan Tata himself besides Venu Srinivasan, Amit Chandra, Ronen Sen and Kumar Bhattacharyya. A news report said the Shapoorji Pallonji group, which holds about 18% stake in Tata Sons, has already termed Cyrus Mistry’s removal from Tata Sons as illegal and threatened to contest the decision. Anyway, India Inc was shocked with Mistry’s sudden exit after a Tata Sons’ board meet earlier in the day. But Tata group insiders believe Mistry’s sacking was imminent and could well be due to some recent fiascos under his stewardship. A Tata Group veteran wondered if the sudden sacking – Mistry’s contract reportedly specifies that he be given 15 days’ time to quit – could lead to a court case. A clash of ideologies seems to be the primary reason for deep unhappiness within the Tata group over Mistry’s style of functioning. 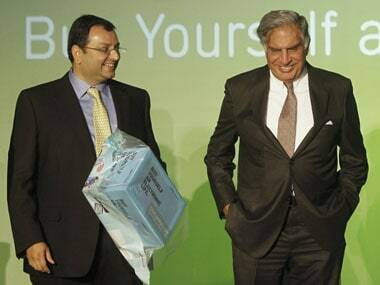 It seems the Group Executive Council (GEC), which Mistry formed after taking over the reins from Ratan Tata in 2012, had been under constant fire from Ratan Tata himself over the last few months. The GEC took the most critical decisions for the group. “To put it simply, the GEC was witnessing a severe clash between the working styles of the old and the new generation. Many recent decisions taken were questionable,” said a group veteran. The GEC comprised Tata Group veterans Mukund Rajan and Harish Bhat besides N S Rajan, Nirmalya Kumar and Madhu Kannan. It was chaired by Mistry and will now be disbanded. A Tata group veteran said Ratan Tata was “unhappy” over the way the NTT DoCoMo issue was handled. He also made a mention of some other fiascos such as the acquisition of the assets of Welspun Group by Tata Power earlier this year. Many Tata group insiders believed this acquisition was foolhardy in valuation terms. In the case of NTT DoCoMo, the entire affair has indeed been a messy one. In June this year, the London Court of International Arbitration ordered Tata Sons to pay a whopping $1.17 billion in damages to NTT DoCoMo for breaching an agreement related to their telecom joint venture firm Tata Teleservices Ltd (TTSL). The dispute dates back to January 2015, when NTT DoCoMo filed an arbitration stating that the Tatas failed to find a buyer, as stated in the shareholders’ agreement, for its stake in TTSL. 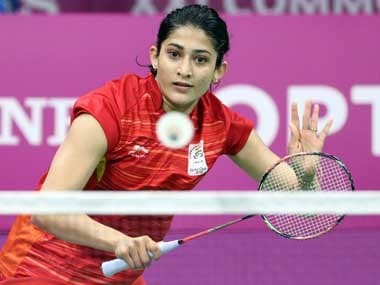 The case is currently being heard by the Delhi High Court and courts in the US and the UK. As per this story, NTT DoCoMo has now sought the transfer of assets worth $1.17 billion from Tata Group. This, when the Tatas have already deposited this amount with the Delhi HC and are losing Rs 2 crore as interest daily. This story speaks of why Mistry’s affection for the group’s cash cows could also have been his undoing. Mistry’s decision to sell off the group’s loss making steel unit in UK, which put thousands of jobs at stake, also did not go down well. With Mistry’s unceremonious sacking, the steel in Ratan Tata is on display. Is this the beginning of Ratan Tata 2.0? An opinion piece in the Livemint points out that in its 148-year history, the Tata group has experimented with different chairmen for Tata Sons and Tata Trusts only once before—when JRD Tata headed the trusts and Ratan Tata headed Tata Sons. But that was for a only short time before JRD’s death and, in any case, involved two Tatas. The failure of the move to appoint an outsider to head Tata Sons while Ratan Tata retained his hold over the trusts could also mean that the next chairman may well be from the larger Tata family. 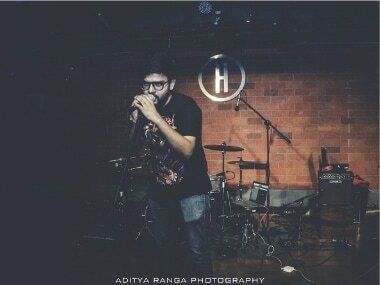 Ratan Tata himelf? 1Cyrus Mistry sacked in Tata Sons churn: Is this the beginning of Ratan Tata 2.0?